Wine bottles get most of the limelight, but these four surprising uses for wine corks may have you thinking twice before tossing those bottle stoppers. From plant markers to door stoppers, uncork these ideas and see wine toppers in a whole new light. Distinguish your dill from your dandelion with this oh-so-easy cork craft that is cute to boot! 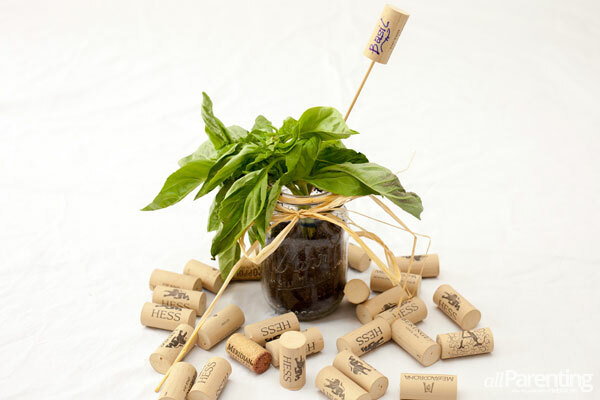 Use a permanent marker to write the name of your plant along the side of the wine cork. Push the pointy end of the skewer into the end of your wine cork. Push the other end of your skewer into the soil of your potted or planted produce and cut down on the confusion of what is growing where. Steady rocky chairs and tables with this ingenious use for wine corks that will make you wonder why you waited so long to fix your wobbly perch! Set a wine cork on its side on your cutting board and carefully steady with your hand. Using a firm sawing motion, cut through the wine cork until you've detached a coin-sized circle of cork. 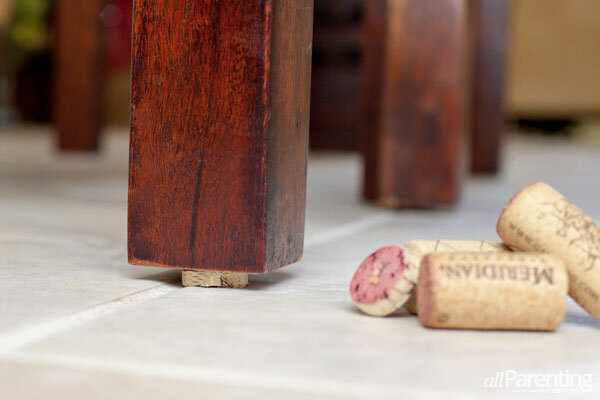 Place your cork "coin" under a rocky table leg or chair leg and enjoy your newfound stability without spending any extra dough. 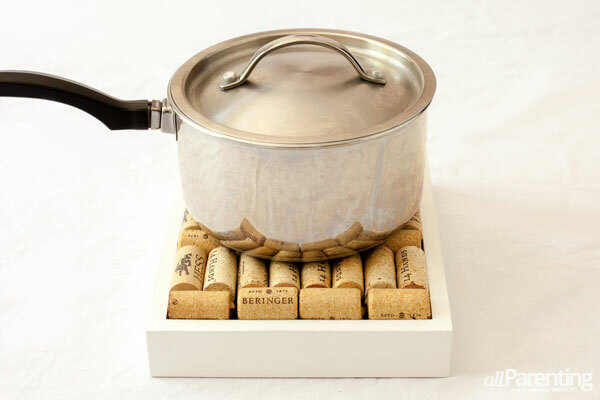 It's easy to serve dinner in style while sipping a glass of vino when you turn old wine corks into a stylish and handy trivet with this wine cork craft. Remove the back from your picture frame and place frame face down on the table. Arrange wine corks in the frame until they fill up your space snugly. You can also cut your wine corks if they aren't fitting just right. Remove your wine corks from your frame and squeeze a layer of hot glue along one side before replacing back onto the back of your picture frame glass. Repeat until your frame is refilled and your wine cork craft will be ready in time for dinner. Propping open the doors in your abode is a breeze when you discover how easy this practical use for wine corks is to create in a pinch! Hold your wine cork on its end on a cutting board. Using a firm hand, cut your wine cork lengthwise at an angle. It's easiest to start cutting at the center point of the top of the cork and ending at the outside edge of the other end of the cork. 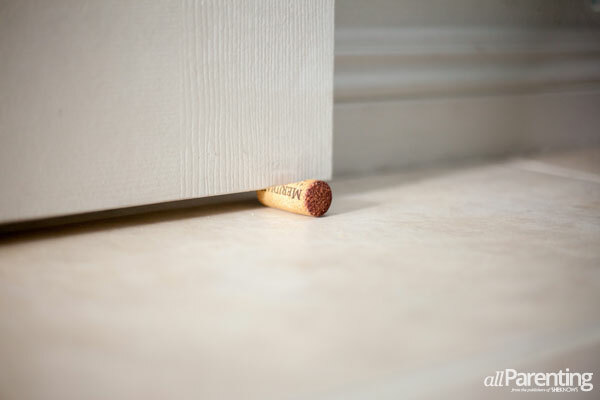 Wedge your cork with the cut side up under the bottom edge of your door to keep it from closing!